Pick up your best christmas CDs and play them all day long! Finally holidays are really near and there is nothing better than decorate home while you are listening to happy songs. Unfortunately this year i'm unable to do a big nativity scene but i don't give up so... i create a smaller version. You only need a box, pieces of bark, little statues, acrylic paint, brushes and, of course, glue. This is the fastest and easier diy ever. Let's do it! 1. Paint the box, inside and outside, with a dark brown. 2. 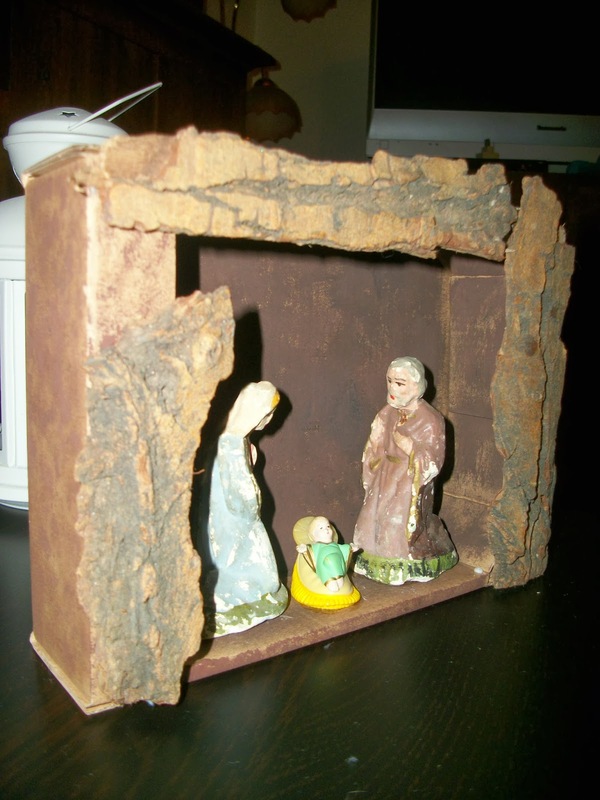 Attach the pieces of bark and the statues with the glue. Do this diy over a journal or a sheet of paper cause the glue or the paint can trickle on the table. 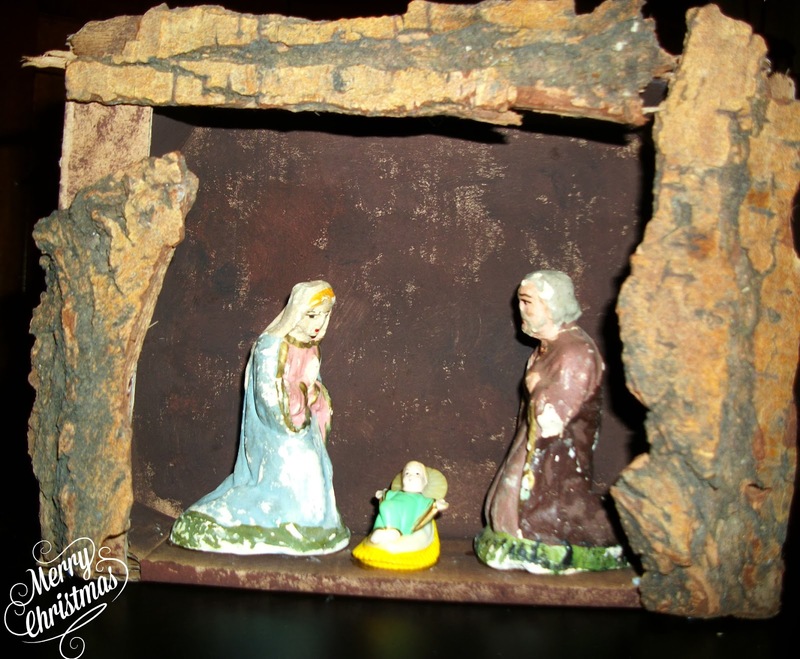 This entry was posted on Wednesday, 18 December 2013 and is filed under idea. You can follow any responses to this entry through the RSS 2.0. You can leave a response.